This study was carried out to determine the relationship between orthorexia nervosa (ON) and eating disorder and body composition, class level, and place of residence in university students from the Department of Nutrition and Dietetics. 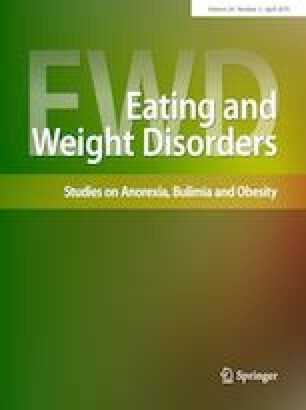 The participants (n = 136; 20.9 ± 2.0 years) were all female students, whose scores on the Orthorexia Nervosa Questionnaire (ORTO-11) and the Eating Attitudes Test (EAT-40) indicated a prevalence of ON and eating disorder. Assessment of body composition indices (Tanita bioelectrical impedance; SC-330) of the participants showed there to be no significant difference in the EAT-40 and ORTO-11 scores in terms of body composition, class level, and place of residence. A large majority of the participants (70.6%) had high ORTO-11 scores, and a significant negative correlation (p < 0.05) was identified between the EAT-40 and ORTO-11 scores. Final results from analysis of the data showed that although abnormal orthorexic tendencies were common among the students from the Department of Nutrition and Dietetics, they were nonetheless able to maintain body composition within normal values. The research proposal was approved by the Ethics Committee of the University of Bahcesehir. All procedures performed were in accordance with the ethical standards of the institutional and/or national research committee and with the 1964 Helsinki Declaration and its later amendments or comparable ethical standards.